Over a year ago, an alert Order member suggested the Fellowship consider attending the Conscious Life Expo in Los Angeles. The Expo is a colorful gathering of New Age esoteric and truth approaches, psychics, healers, herbalists, artists, crystal and crystal bowl purveyors, extraterrestrial enthusiasts, and much more. 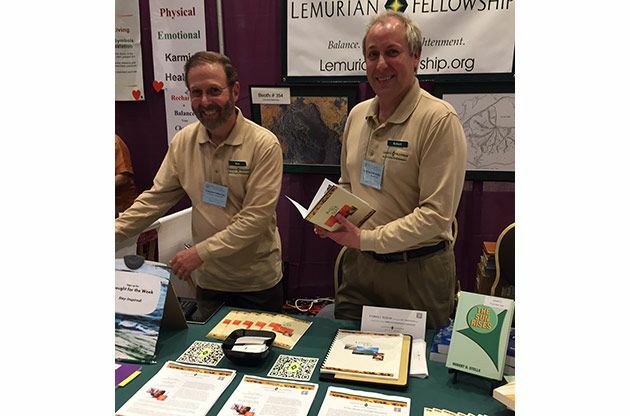 An advance party of Lemurians attended the 2017 Conscious Life Expo, bringing back many details, pictures and impressions. We agreed this was worth pursuing and began our preparations. A very positive experience – and fun, too! As a dry run, we took a booth at the 2017 San Diego Earth Day Fair. Meanwhile, we printed hundreds of brochures and handouts. We commissioned Fellowship logo shirts that many Order members ordered. We talked about the kinds of questions we might be asked, and Order members sent in thoughtful ideas of how these could be answered. We booked rooms at the Los Angeles Airport Hilton, drew up schedules, and devoted meditations to this project. On February 9th, cars and vans filled with Lemurians, books, literature, and high hopes from Ramona, Rancho Bernardo, Rancho Penasquitos, and Gridley, CA converged on the Conscious Life Expo for three days in another dimension. First impressions: This is huge! Hundreds of booths, speakers, workshops, exotic foods, live music and people. And everyone we met was surprisingly positive. Exhibitors are friendly; visitors respectful and interested. 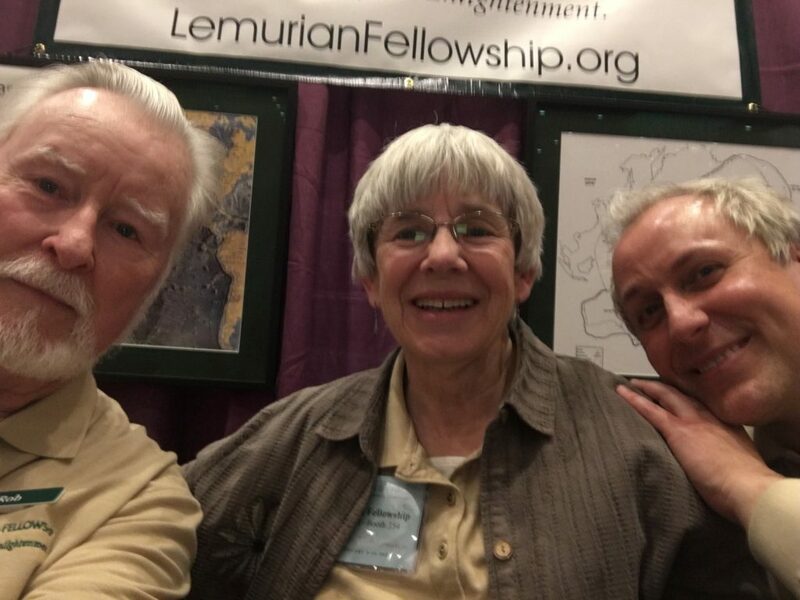 Some moments stand out: In the elevator going to the Expo floors, a young woman spots our Lemurian Fellowship exhibitor’s badge and says, “Lemuria! I’m coming to see you!” Another woman who has attended the Expo for years looking for information about Lemuria is delighted to find us. While one of us stood in a check-in line, the person behind her introduced herself as a book distributor. They talked about possibilities for marketing The Sun Rises and we learned a lot about book selling now. Two crews from internet radio stations came by and interviewed staff and Order members at the Fellowship booth. An exhibitor across the aisle from our booth offered several ideas for improving our display based on her years of experience. As people passed the booth looking interested but hesitant, just a “Hello” or “Would you like to know something about Lemuria?” broke the ice and started a conversation. If they took a handout or two, we might say, “If you have any questions, come back later.” And several did. Two large maps on our backdrop were a real draw. Dr. Stelle’s map of Mu, perceived clairvoyantly from the Akashic Records, hung next to a National Geographic Society rendering of the Pacific Ocean floor. When we brought people into the booth to see them, their interest grew. When we said the Map of Mu was drawn in the 1940s and the ocean floor map became available only in 1969, the similarities between them took on greater significance. Near the end of our last day at the Expo, a young woman came to our booth and told us, “I’ve been through the upper floors and most of the booths here, and when I came to yours I felt this great surge of energy!” She took all the handouts we had and enrolled on the spot. We had other enrollments, sold several books, gave out hundreds of Into the Suns and flyers. Even after closing time, a young man hurried in wanting all we could give him about Lemuria. To say we’re happy about these results would be putting it mildly. Most of all, it was really nice to talk to so many sincere and searching individuals. The deep interest in Lemuria, the feeling of many that they lived there, and especially their responsiveness to a sincere, friendly but low-key approach, are a real change from past years when many had never heard of Lemuria. People seem much readier for what the Lemurian Fellowship offers. All we need to do is reach them! Good to know you wanted to help, Richard. Even that thought was a help. Every Order member who answered a question in the preparation, or even thought about the questions, surely made this outing a great success. It’s proof to me that, no matter where we live, with a little thought we can help. When will the next, (or any other expo) take place? The next Conscious Life Expo the Fellowship plans to attend is scheduled for February 22-24, 2019. A great success! After months of dedicated planning and cooperation, an excellent display booth was created and staffed. With this much effort on a precipitation, there are no coincidences. There is a saying that “When the student is ready, the Teacher will appear.”. In this case, the teachers were very ready, approachable, and in the right place, so the students appeared! 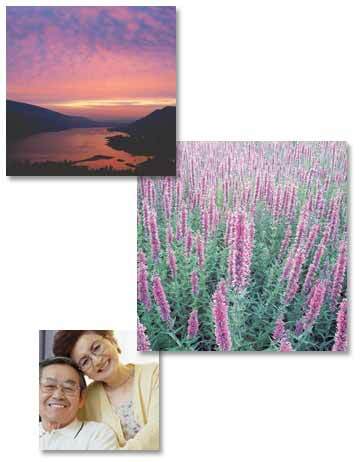 It is heartwarming to read of the success at the Life Expo in Los Angeles. With the precipitation in progress over the last year, it is ‘easy’ to understand why it has been successful – but I can appreciate all the hard work that has gone into planning and organising it. It would have been nice to have been there to help – or even to be a visitor exploring the Lemurian stand!